Blue Ash, OH - - MarketVision Research is pleased to be recognized by Inc. Magazine as one of the fastest-growing private businesses in the U.S. 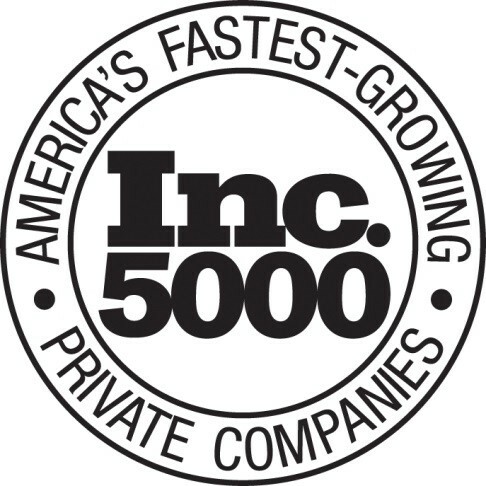 The Inc. 5000 is a list published annually by the editors of Inc. Magazine and this year’s recognition marks the 3rd time MarketVision has been included. Blue Ash, OH - - MarketVision Research is pleased to announce that Christina Brown Landon, Vice President, and Graeme Christianson, Research Director, have joined the firm. Both Brown Landon and Christianson join MarketVision after previously leading the medical device research team at ITG. They bring with them a wealth of experience helping clients uncover the perceptions and practices of end users, economic buyers, and administrators in a wide variety of global markets and across brand portfolios. Brown Landon will be based in Connecticut and Christianson based in London. Blue Ash, OH - - MarketVision Research is pleased to be recognized as a top 50 research firm in the latest release of the AMA Gold Top 50, a list published annually by the American Marketing Association in cooperation with CASRO. MarketVision experienced double-digit growth in 2014 and is ranked #31 among the Top 50 research firms in the U.S.
MarketVision would like to thank its clients for their partnership in supporting their business, and its employees for their contributions in producing best-in-class research solutions for our clients. 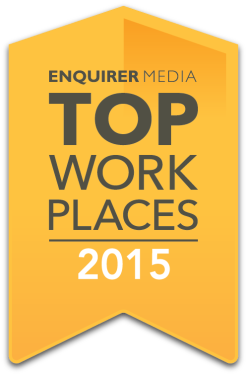 Blue Ash, OH - - MarketVision Research is proud to announce that we've been named a 2015 Cincinnati Top Workplace! We're thrilled to have been included on the list, and are very thankful to our employees, who made this happen. The Top Workplaces are determined based solely on employee feedback. The employee survey is conducted by WorkplaceDynamics, LLC, a leading research firm on organizational health and employee engagement. WorkplaceDynamics conducts regional Top Workplaces programs with 45 major publishing partners across the United States. MarketVision’s Debbie Hoffmeister has been tutoring a 3rd grader, Jada, at a local elementary school with Whiz Kids Tutoring each Monday. Debbie and Jada enjoy their time together – reading a book each week, talking about the book, doing worksheets to make sure Jada comprehends what she’s reading and can show that she does - and just sharing the stories of their lives. A couple of months ago, her mom’s work schedule changed and she wasn’t able to pick Jada up in time so she wasn’t able to participate anymore. But Debbie offered to bring her home each week so they could continue their meetings. It’s turned into a great friendship over the school year and they continue to meet up through the summer, even getting together with the family to celebrate Jada’s successful 3rd grade year. Her name was on the wall of the school because her standardized testing went up at least 50 points this year!